Samidoun: Palestinian Prisoner Solidarity Network stands with Ilhan Omar, a strong supporter of Palestine elected to the United States House of Representatives last November, and urges a broad mobilization to defend her against media and political incitement by Israel and its allies. Rep. Omar is one of only two endorsers of the Palestinian Boycott, Divestment and Sanctions (BDS) movement in the 541-seat Congress. She is also an outspoken critic of Israel’s crimes against Palestinians and has joined demonstrations protesting them in her district around Minneapolis, Minnesota. These strong positions, unheard of in Washington, D.C.’s halls of power until this year, as well as Rep. Omar’s identity as an immigrant, the first Somali-American, and one of the first two Muslim women elected to Congress, have drawn harsh reactions from Israel’s reactionary supporters, as well as the Israeli state itself. While a ferocious offensive targeting her gained widespread attention over the past day and a half, the ongoing campaign of racial, religious and political harassment against Rep. Omar began long before her election. The current firestorm erupted on Sunday evening, after she posted two tweets criticizing the pro-Israel lobby, particularly its flagship organization, the American Israel Public Affairs Committee (AIPAC), and the influence it wields by bundling contributions to political candidates, primarily Rep. Omar’s colleagues. Rep. Omar said nothing wrong. Her first tweet quoted a relevant line from a well-known song by hip hop artist Sean Combs, while her second repeated a truism understood by most observers of U.S. politics, especially on Capitol Hill. And as a vocal supporter of Palestine and its liberation movement, nothing else she could have done, short of adopting the Zionist politics of her opponents, would have averted their malice. In the aftermath of her tweets, Rep. Omar faced a torrent of abuse on the Internet, including from a daughter of two notorious war criminals, who berated a former refugee from a country invaded by her father “as an American,” and an editor of a Zionist newspaper in New York, who sought to link her with the Ku Klux Klan. This vicious onslaught poses a crucial test for U.S. supporters of Palestine. As Zionism’s fortunes continue to dwindle, we must find strategies to turn growing public sympathy with Palestine into political gains for the Palestinian people. Taking action to support Rep. Omar in the face of a Zionist attempt to destroy her can open more possibilities for liberatory struggle in the heart of Israel’s key supporter. CALL NANCY PELOSI, the Democratic speaker of the House, to demand she oppose the attacks on Rep. Omar: 202-225-4965 (Washington, D.C.), 415-556-4862 (San Francisco). WRITE YOUR REPRESENTATIVE to say you support Rep. Omar and oppose any measures against her. FOLLOW THE #StandWithIlhan HASHTAG on social media, boost supportive content, and share your own. POST YOUR SUPPORT of Rep. Omar on her Facebook, Instagram, and Twitter accounts. ADD YOUR IMAGES in solidarity with Rep. Omar to IStandWithIlhan.org. PROTEST AIPAC! 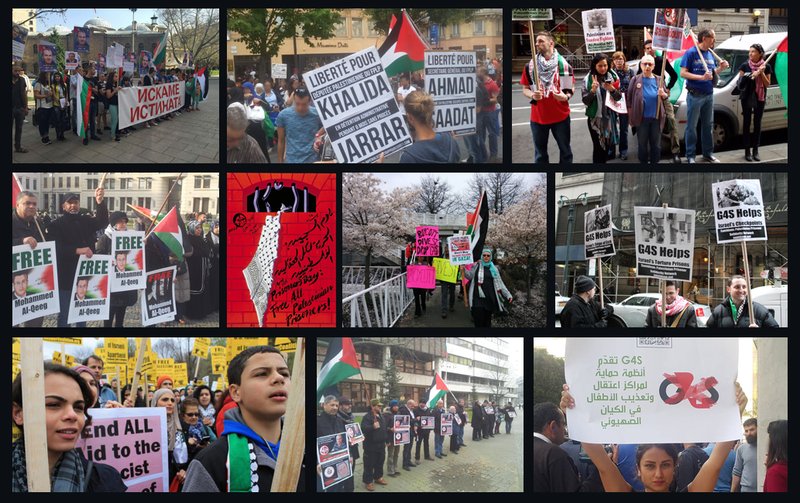 Every year, supporters of Palestine descend on AIPAC’s annual policy conference in Washington, D.C. Plan now to join the mobilization on Saturday, March 24.